“When you enjoy what you do, the concept of “free time” becomes redundant! I like to think that I live each moment to its fullest and enjoy all that I do, including teaching, reading, dancing, travelling, meditating, being still with nature, photography, zentangling, cooking and running my project “Travelling Pencils”!” says Atima Joshi, with a bright smile, when asked about what she does in her free time. 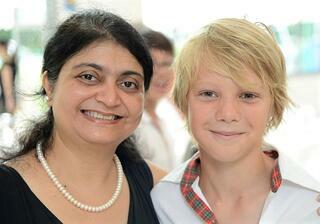 In our Meet & Greet interview today, we catch up with Atima Joshi, Principal of Middleton International School, Singapore. 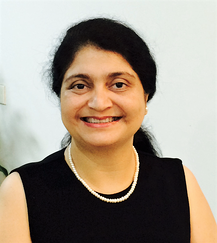 Atima was born and brought up in Delhi, India. She studied in a convent school and went on to do a Bachelors degree in Science. She comes from a family of writers and poets and started writing for magazines, radio and TV since Grade 8. At the age of 23, she left her job to travel with her husband who was a ship captain, and visited more than 32 countries. Her travels fuelled her immense curiosity about cultures and helped shape her sense of international-mindedness. 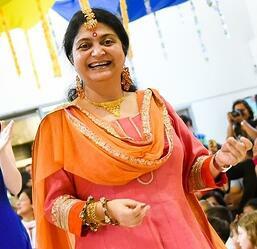 Teaching was a passion she picked up again when settling in Singapore in 2002. Her Masters degree from RMIT, Australia gave her valuable insights into international education practices. She is passionate about the environment and education and believes in taking action for societal change. Let's hear more from Atima! 1. What inspired you to become a principal? My boss....! Jokes apart, I have a vision of a happy, peaceful, caring, sustainable society. What better way of working towards it than being an educator? My students make me proud and each one of them holds a special place in my heart. 2. What is your favourite item on your work desk and why? Colour pens/pencils! They make all kinds of story-telling as well as drab paperwork interesting! 3. Top 3 favourite children’s books? That’s a tough one! There are many books on my list... Dr Seuss’ works (particularly The Lorax and The places you’ll go), Room on the Broom, Roald Dahl books, Shel Silverstein’s poetry, Harry Potter, The little Prince, The Day the Crayons Quit, What do you do with an idea, The Book With No Pictures....and many more! I also love books like “The True Story of Three Little Pigs” and “Prince Cinders” that help expand readers’ perspectives and break gender stereotypes. 4. What was a memorable moment in your teaching career? Crying unashamedly with my dyslexic student when he figured out how to write his name independently after months of practice and encouragement! He never looked back then on and now leads a successful life as an adult. 5. What is a quote/saying/belief that inspires you and why? "Unless someone like you cares a whole awful lot, nothing is going to get better. It's not." – from The Lorax written by Dr. Seuss. This quote inspires me to reflect on my own involvement, responsibility and action in any situation or context that I feel strongly about. 6. How would you describe your school in a sentence? 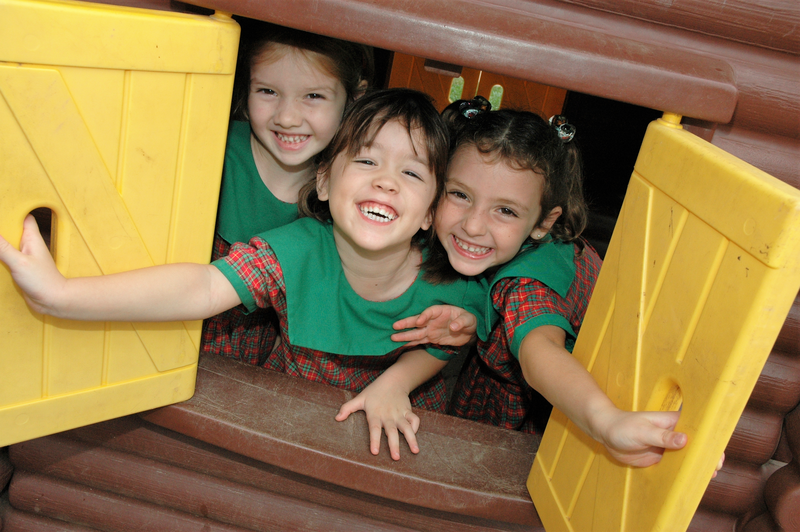 Our school is a sustainable community that respects diversity and encourages all learners to become successful, happy individuals as well as responsible, active citizens. 7. How do you think parents can best support their children in their education journey? Be aware of your child’s education journey through various information channels of the school and by talking to your child. Create a safe space for trials, triumphs and failures and let them know explicitly that you love them regardless! Help with ideas and plenty of encouragement. Facilitate and ensure safety but do not step in to “rescue” every time your child has a little problem either in his/her learning or with his peers. Children develop confidence when they master something from their own efforts and understanding, be it their academics or their social relationships. Celebrate not only your child’s academic successes, but also the joy they bring in their day to day life. Be a role model - read often and laugh loads! 8. Any tips for parents applying for schools? Before you enrol, visit the school, ask many questions and use your gut feeling to determine if that is the right school for your child. Once you are satisfied, enrol your child, trust the school and give time for your child to flourish in it. 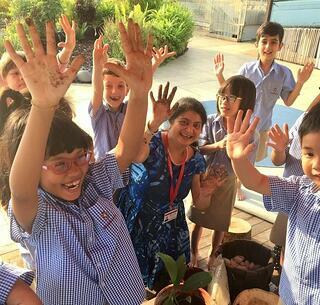 Have a chat with Atima and her team of teachers at Middleton International School.